March | 2012 | CHARALEE G.
profound. I need not say more. touchante et profonde. Je n´ai pas besoin en dire plus. DIEGOS ROMANTIC POEMS AND ART ARE SECUCTIVE. LA ESQUINA DEL CHARALEE De ARTISTAS EUROPEOS. DIEGO´S POEMAS ROMANTICOS Y ART SON MUY SECUCTIVO..
DEIGO´S `POESIES ROMANTIQUES ET SON ART SECUCE. Et réduit mes heures à des minutes. Je voudrais t’embrasser… toi… ! Et que les doutes dans ma vie ne reviennent ! y me llene de incertidumbre…! The photograph, taken in 2008 in Mount Royal Park, Montreal, Quebec, Canada takes us back to the 1800s. 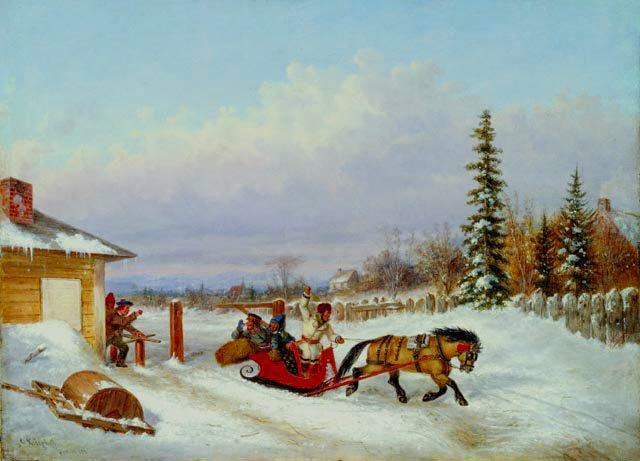 The caleche ride in 2008 could have been a study for the 1861 painting of the popular Dutch-Canadian painter, Cornelius Kreighoff. 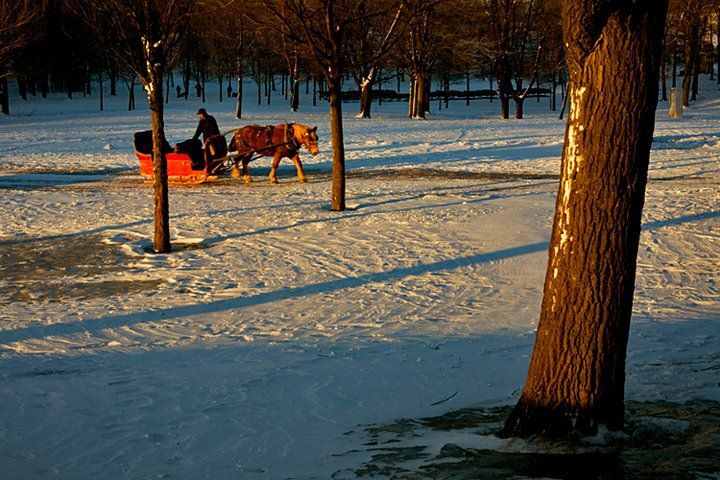 The photo captures the winter landscape and Montreal´s desire to preserve history and recreate the past. Photo © 2012 Kamal / www.photofade.com LEGS – MODERN WOMEN STEP OUT The fashion market and the modern woman. Does the 21st century witness the achievements and liberation of women? Is the fashion industry a market that defines ¨ a woman´s place¨ or is it one that women define? These are inquiries that we face today…. Read more. © 2012 Copyright Charalee Graydon CHARALEE´S CORNER OF EUROPEAN ARTISTS We live in a world with over six million people. What force has caused me to meet so many artists from this multitude of people? Something seems to have drawn them to me or me to them. 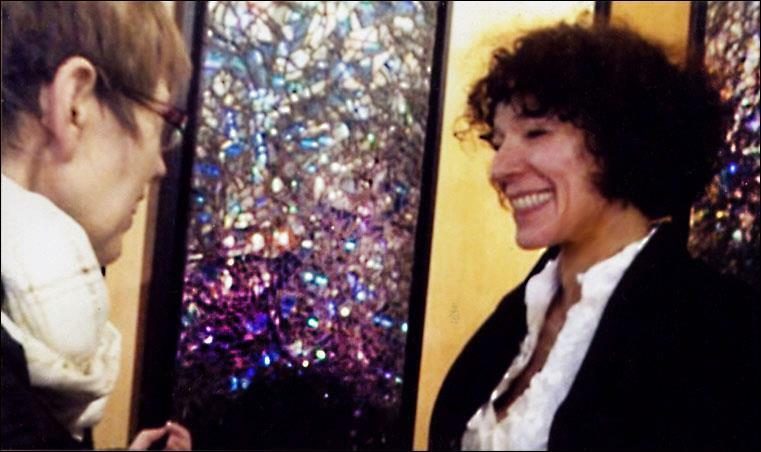 I met the first artist after reading a book… Read more. 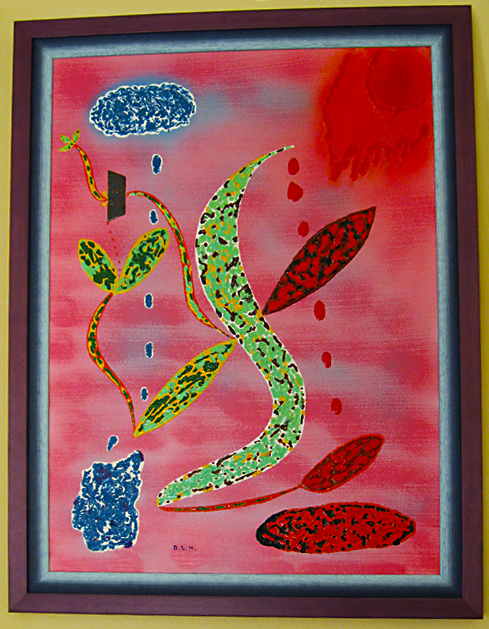 Parra-art is bringing works of light with a French style to Charleston, South Carolina in the exhibition of contemporary art work and poetry that will be held in May, 2012. Parra-art will bring messages from French artists Claude Monet, Paul Signac and Geoges Seurat about their journeys and explorations with light during the late 19th and early 20th centuries. These French artists were capturing impressions,… Read more. Where can you find ¨A-Maze-Ing Laughter¨? We know that you can find it at Morton Park at English Bay, in Vancouver, British Columbia, Canada. This art exhibition is part of the Vancouver Biennale 2009.2011. The importance and meaning of laughter? 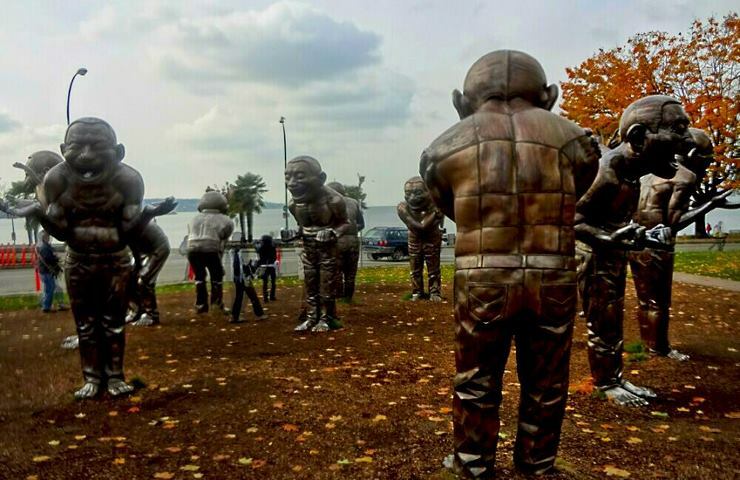 We invite you to comment on Vancouver´s ¨ Biennale exhibition of Yue Minsun´s ¨ A-Maze-Ing Laughter¨. German painter, Otto Dix (1891-1969) was featured in a recent exhibition in Montreal, Canada at the Montreal Museum of Fine Arts. The exhibtion was held from December 24, 2010 to January 2, 2011. 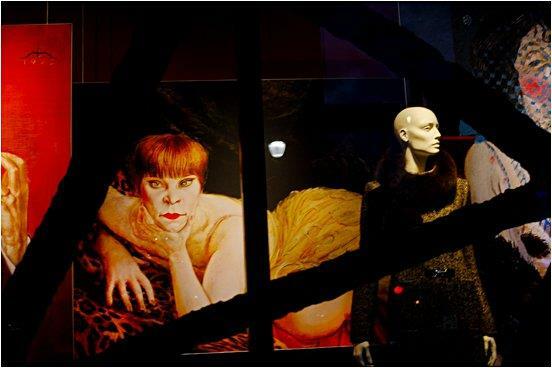 To promote the exhibition, storefronts in Montreal showed reproductions of some of the Dix paintings. Photographer, Kamal, from Photofade, took photographs of the reproductions, combining art and culture with commerce. The title of the Exhibiton, ¨Rouge Caberet: the Terrifying and Beautiful World of Otto Dix¨ becomes even more terrifying or more beautiful in Kamel´s Photographic works of art. 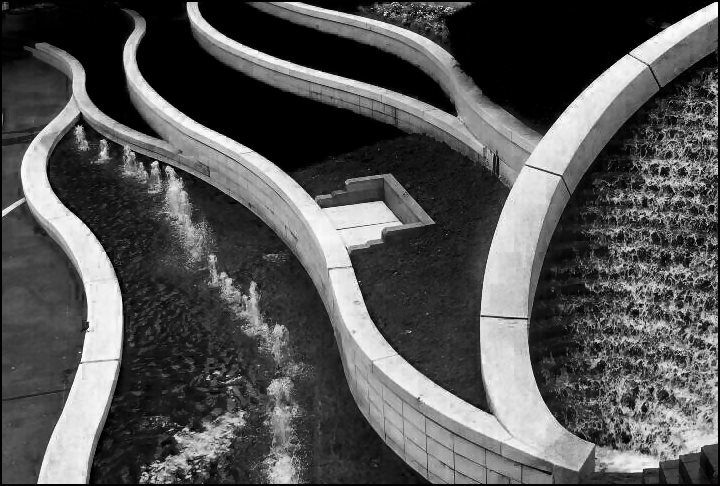 Vancouver focuses on lines and curves in its architecture that mix the beauty of nature with modern design. The photographer has captured the image of Vancouver, an inviting and beautiful city. Copyright 2012 © Ferran Escote A Modern Mona Lisa. Supreme art is a traditional statement of certain heroic and religious truth, passed on from age to age, modified by individual genius, but never abandoned. William Butler Yeats Leonardo Da Vinci´s Mona Lisa can… Read more. © Kamal / http://www.photofade.com A Psyche Visual Kamal makes a powerful statement with two new works of art. We know Kamal as the founder of Photofade, an on line photography agency but this is your first introduction to Kamal, the painter. Kamal has returned to his roots, having been trained as a painter in Shiraz,… Read more. New Art Bursts Forth! New Ideas Erupt! 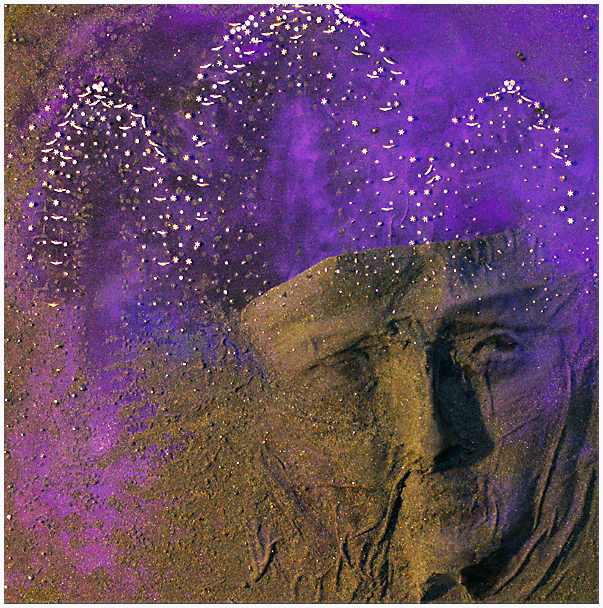 Photofade journalist Charalee Graydon speaks with artist Mariannic Parra about her recent mixed media art works that combine volcanic ash with other media including poetry. The luminosity of the paintings responds to the light in which they are placed providing movement and colour variation. New ideas erupt from the poetry that accompanies each work allowing the viewer to reflect, to respond and to take part in the art experience. The Parra works were exhibited at the 8th Salon d´Art Contemporian 2011 organised by the Association Elan d´Art art the Corum in Montpellier, France in November. Watch for the upcoming article in Photofade discussing additional works and accompanying poetry of Parra.-Art. New mixed media art in Southern France highlights man’s interaction with nature. 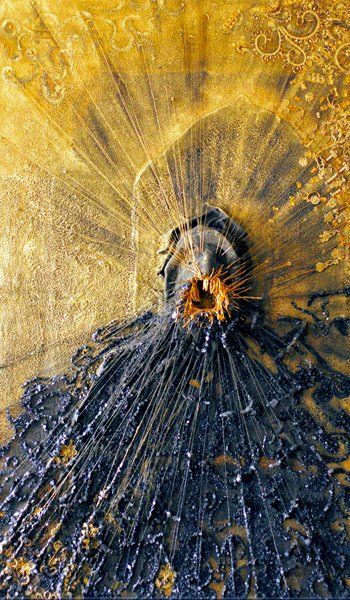 Materials used by artist, Mariannic Parra include volcanic ash and volcanic dust. Her art incorporates elements from the the natural environment and marks natural phenomenon that have happened and are happening as the 21st century unfolds. Another dimension to Parra- art is provided by the poetry of Jean-Pierre Parra that accompanies each art work and is communicated in text and video recordings. The recordings can be accessed on the Parra website.www.parra-art.com. Parra-art was exhibited at the 8th Salon d´Art Contemporian 2011 organised by the Association Elan d´Art art the Corum in Montpellier, France in November. This journalist had the opportunity to attend the atelier of the Parr-art and saw the diversity of works on display: sculpture, designed drawings, paintings and books of poetry. With the fast pace of development and disappearance of art styles in the 21st century one must ask whether this combination of procedure, image and text will endure the rigours of the art world? One marker that has been achieved by Parra-art is its exhibitions around the world, including exhibitions in France, Italy, Taiwan, Israel and in North America. Mariannic Parra´s use of materials from the earth´s natural environment and Jean- Pierre Parra´s interpretation of the social context being addressed provide record an art style from the 21st century and speak clearly about mankind´s fragile place on the planet earth. 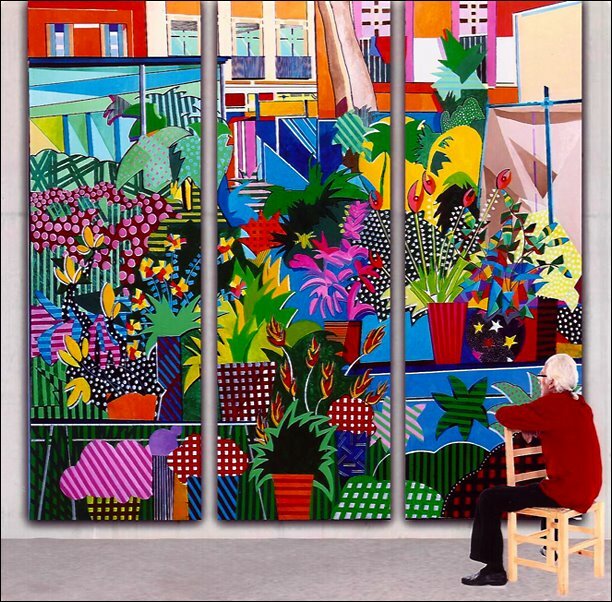 Vibrant colour returns to the canvas in Ferran Escote´s recent paintings. An exhibition in the Municipal centre of Vinaros, Spain from the 22nd of November to the 11th of December, 2011 showed a number of large scale works of vibrant colour. Works of still life exaggerating the still but bringing views that beautify the often stark city landscape. Even the faceless blocks of buildings that Ferran Escote has painted bring colour and a sense of light to the cityscape. Escote provides a fantasy world for everyone. This cityscape is bordered by polka-dotted and striped clouds. There is a sense of order and disorder that brings a feeling of movement to the work. Pink tulips, stars, stripes and polka dots form a diametric composition that plays with our sense of fantasy and reality. It is a work that is fun to look at and that engages the viewer. We are taken back to our childhood but we know that we are adults. The large scale dimensions (2 m.x 2 m.) remind us that we are grown but this dream has become larger than life. The painting reminds us of children’s games and colouring books. This is our new colouring book, a new toy and game that Ferran Escote has created for us. Spain, a country where Gaudi brought us great architectural achievements. Spain, the literary world of Cervantes and home of Don Quixote. Spain and El Greco´s vision of spirituality. Spain, a young democracy where a modern painter seeks to show us a new urban landscape of intense colour. He employs floral and marine decoration with green space that reminds us of where we are, what was created for us and what we have done and will do with that creation. Art that can be said to be a vision of a new urban landscape. 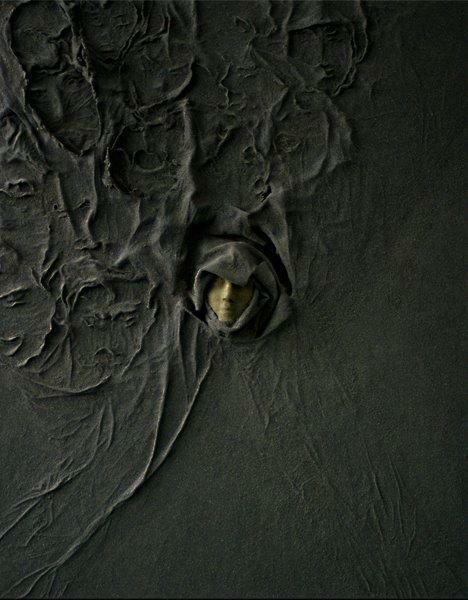 This work is not fantasy but what may become reality, a world sensitive to the earth´s treasures. A world of light and colour shown in a painting that displays not the ¨surreal¨ but ¨beyond real¨. A dream that takes us to a different and perhaps better place with Spanish sensibility that is clearly visible in its festivity and light. Ferran Escote has exhibited his paintings around the world, from Miami to the Dominican Republic and throughout Spain. He is a native of Vinaros, Spain where the city of Vinaros has paid homage to the artist by exhibiting his work in the town hall (ayuntamiento) of the city. You can see more of Ferran Escote´s work by visiting www.ferranescote.com or Ferran Escote on You Tube.